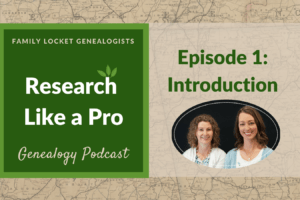 In our podcast episode today, we are sharing Nicole’s RootsTech lecture, Organize Your Research with Google Drive. Do you work from multiple devices? Laptop, desktop, work computer, home computer, smartphone, iPad? 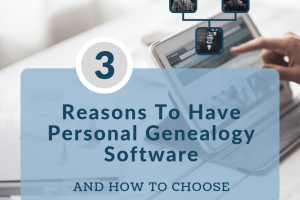 Learn how to utilize the free tools at Google Drive and Google Docs to help keep your genealogy research organized. 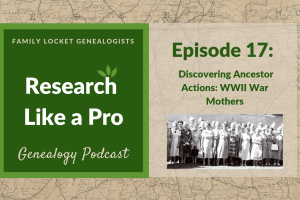 You can create research logs with Google Sheets, transcribe records into Google Docs, add document links to records you have saved within your Google Drive files and share your work with other genealogists. The comment feature is a powerful collaborative tool that allows you to give and receive feedback from others. Upload your image files, scanned records, and saved research documents to Google Drive to access them from any device. Sync your devices to back up your precious research online. Search through your Google Drive to easily find documents. No longer will your research documents be scattered in dusty file folders, desktop computers, and under-the-bed boxes. Putting all your research in one place will help you find what you need and make more progress. Hi. Thank you for sharing your lecture from RootsTech! I’m trying to organize my research following your guidelines – I feel like it’s completely out of control and I’m not getting anywhere. I have a question about using Google Drive. I am using Family Tree Maker and all my documents are stored with FTM on my computer. If I add them to Google Drive, won’t that just duplicate my efforts? When I start using the research logs and store them in Google Drive, can I create a link to the documents on my computer? You can back up those documents stored on your computer to Google Backup and Sync so that if your hard drive is lost or your house floods, you’ll have them backed up in the cloud.